Due to the exchange rate, the price of wooden flooring has almost doubled, making it a luxury item in many installations. While real wood flooring is definitely expensive, there are many options for designers to consider, says Steven Suntups from FloorworX, who is also the chairman of the South African Wood and Laminate Flooring Association (SAWLFA). “Today’s most popular floor is an engineered floor. With engineered wood, you have thicker top faces going 5mm, 4mm, down to even 0.5mm veneer, which can last for 15 to 25 years, making it more affordable for people. There are always laminate and vinyl options that imitate hardwood flooring as well. Designers working on a tight budget can always opt for thinner veneers,” says Steven. Is the wooden floor I’ve chosen durable enough? Designers and other professionals in the flooring industry often ask how they can tell if a real wood floor has the right level of durability for their specific application. Steven says that the Janka scale test is used for this purpose. “The Janka scale is the pressure, measured in pounds, of a 5mm iron ball pushed into the wood. This scale can tell how hard the wood is and is an American standard. The harder the wood, the better it is for high durability and high traffic areas,” says Steven. Can underfloor heating be used with engineered wood? Steven says that all engineered wood can be used in conjunction with underfloor heating. “Underfloor heating emits a very soft heat, making it suitable for virtually all engineered wood flooring products. The temperature of the heat under the floor is only 27 degrees, and there is no air gap so the wood will not dry out. It’s just a soft heat passing through the floor. All FloorworX floors can be used with underfloor heating,” says Steven. What is the most durable surface finish for a wood floor? There are two popular surfaces for engineered wood, namely sealed finishes (which is more like a varnish finish) and an oil finish. “There are other solutions such as waxes, but these require maintenance. The sealants don’t need maintenance. 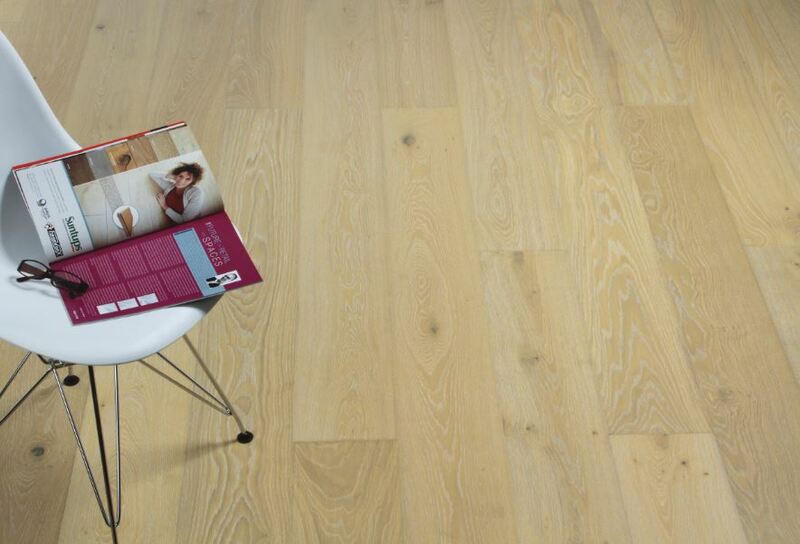 If your client is willing and able to stick to a maintenance regime, then the best option is an oiled floor. We’ve found that many people aren’t prepared or equipped for this kind of maintenance, which is why we are now promoting a sealed floor with an extra-matt finish that looks like an oiled, natural floor, but it has six coats of sealer on it. To maintain this flooring option, all you need to do is buff it and coat it if minor surface scratches arise and it will be as good as new again. Another option is to contact the nearest Bona Certified Craftsman Programme (BCCP) accredited contractor to assist with the maintenance. The list of BCCP contractors can be found on the FloorworX website in the Contact Us section,” concludes Steven.